80 pages (PDF) + access to companion Web site. Product e-mailed upon receipt of payment. 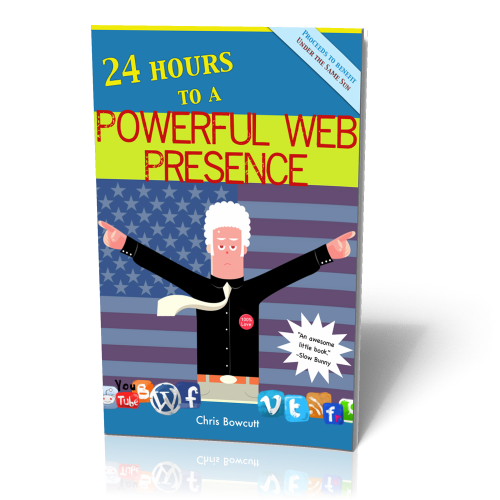 Chris is convinced that anyone can learn how to manage their own Web marketing initiatives, and by that he means build their own Web site and blog, social media accounts, develop an e-mail marketing strategy and then tie them all together into one powerful campaign. His goal, really, is to help educate artists, musicians, athletes, coaches, business owners, entrepreneurs and any individual with a passion to become their own online marketing and PR agency. In addition, your purchase of this book gets you access to blue.0’s resource center where you’ll gain access to everything their related to online marketing. 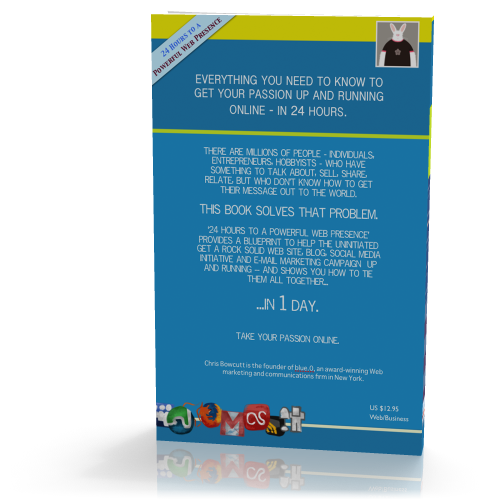 This includes very detailed step-by-step instructions on how to hone your online marketing efforts. If you have a product, service or hobby that you’re passionate about and want to share with others, it’s time to get started! You can actually have this all done by sun up tomorrow. For a preview of the book, click here. To buy the book, click here. A portion of the proceeds of the sale of this book benefit Under the Same Sun. Chris Bowcutt is the founder of blue.0, an award-winning Web marketing and event management firm located in Ballston Spa, NY. He helps individuals and entrepreneurs get up and running online, and consults with non-profits on how to raise money and awareness via the Web.